The Rocks Estate is located in Bethlehem, NH. Being located in Bethlehem certainly gets you right in the Christmas frame of mind, don’t you think? Gift shops open Nov. 6th Cut-Your-Own Christmas tree beginning Nov. 18th. Wander the grounds our choose one already cut. 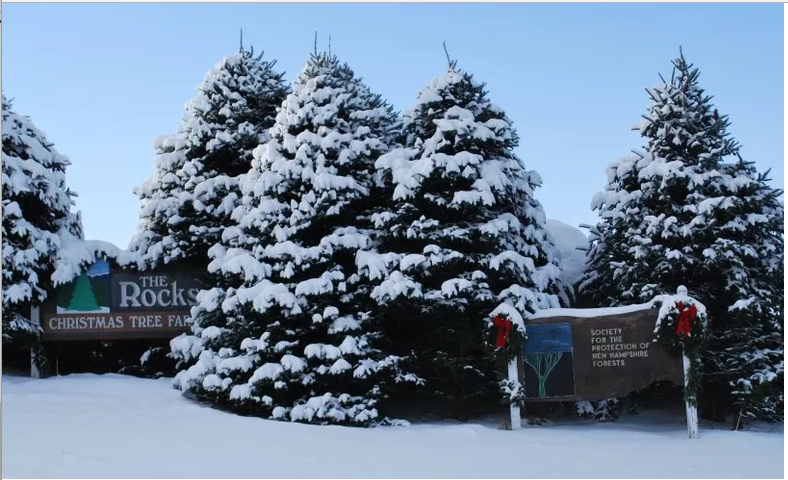 Here you will find a family atmosphere, top quality trees, horse-drawn wagon rides, free tree wrapping, uniquely designed wreaths, Christmas carols, warm food, hot chocolate and so much more. One year our family spent Thanksgiving weekend up north and on our way home stopped at the Rocks to choose and cut our tree. You can read how much fun we had HERE. 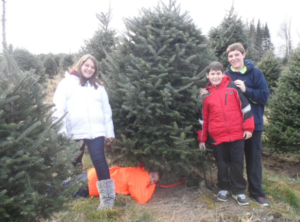 I love choosing just the right tree and I certainly had found it that year. When I reread the post I couldn’t help but be so grateful for the fun memories we had that year. The photos make me smile from ear to ear. The Rocks is great at making magic happen! Who would ever have thought we would have met Christmas Tree Spirit who gave us our own Balsam Fir Seedlings. 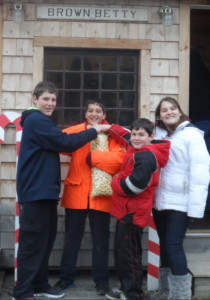 You can head to the Rocks simply to choose your Christmas tree or you can enjoy a package and make a weekend full of memories. You can choose from several of the packages that that Rocks Estate has put together for you HERE. Make sure your cameras are ready to take lots of photos because whatever you do, know that you’ll have a great time!